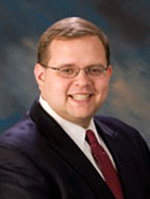 Peter M. Williams is a lifelong resident of Bucks County, Pennsylvania, and a graduate of Neshaminy High School, Rider University and Widener University School of Law, Harrisburg Campus. After graduating from law school he served as a law clerk to the Honorable Mitchell S. Goldberg in the Court of Common Pleas of Bucks County, Pennsylvania. After completing his clerkship with Judge Goldberg, Mr. Williams worked for medium sized law firms in Bucks County and Montgomery County prior to becoming a solo practitioner at the Law Office of Peter M. Williams, LLC, in 2011. Mr. Williams is licensed to practice law in Pennsylvania, New Jersey, and Florida. Mr. Williams practices criminal and civil law, focusing his practice in Bucks County, Pennsylvania where he has successfully completed many jury trials. He prides himself on handling unique and complex matters that most other attorneys avoid. In addition to his regular practice, he also writes a monthly column for the Upper Bucks Free Press answering questions from the public and addressing “hot topics” in the law. He is also active in local politics and community activities and serves on the following boards: Bucks County Redevelopment Authority Loan Review Committee, Children’s Developmental Program in Quakertown, Pennsylvania, Whispering Wood Homeowner’s Association in Newtown, Pennsylvania, and he is an active member of the Knights of Columbus – St. Joseph the Worker Council #4215 in Levittown, Pennsylvania. He provides pro bono services by helping victims of domestic violence receive Protection from Abuse Orders. He is also a pro bono mortgage foreclosure conciliation officer for the Bucks County Court of Common Pleas volunteering several days a year to preside at conciliation conferences where individuals in foreclosure attempt to resolve the foreclosure with the mortgage company. When he is not vigorously fighting for the rights of his clients in the courtroom, Mr. Williams enjoys spending time in the outdoors with his wife, three children, and his beagles.